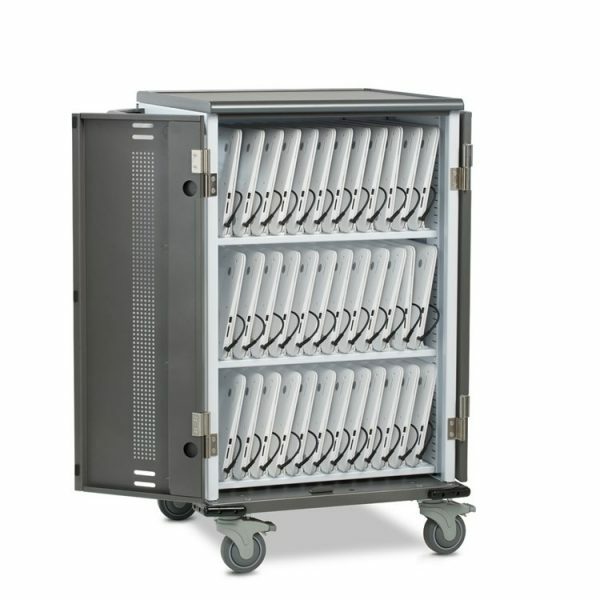 Secure Locking, Mobile Laptop Charging Cart, Stores and Charges 30 Laptop Computers. 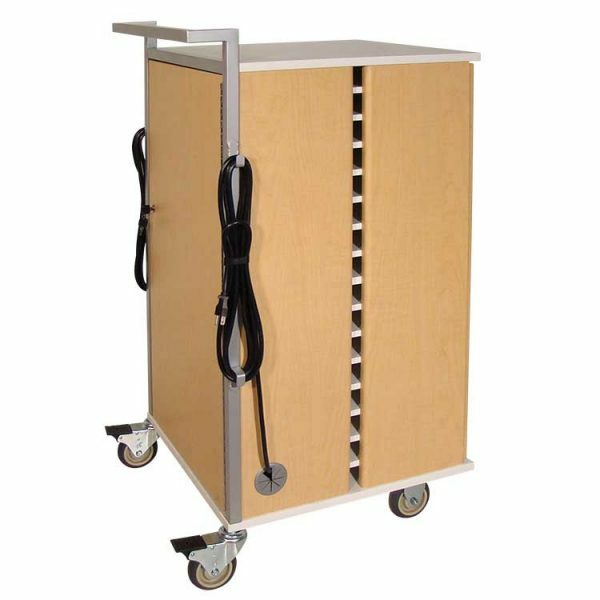 LTCT Series Laptop Charging Carts provide budget friendly basic Security and Charging for Laptops, Notebooks, and Netbooks. 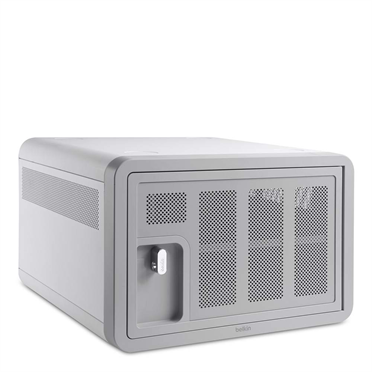 Our Laptop Charging Cart Stores Laptops Horizontally on bays measuring 16″wide x 12″deep x 3″ high to support any model of Laptop. A Single AC Outlet on the back of each Shelf provides Power, and Cable Ties at the front position Power Bricks next to the Power Inlet. 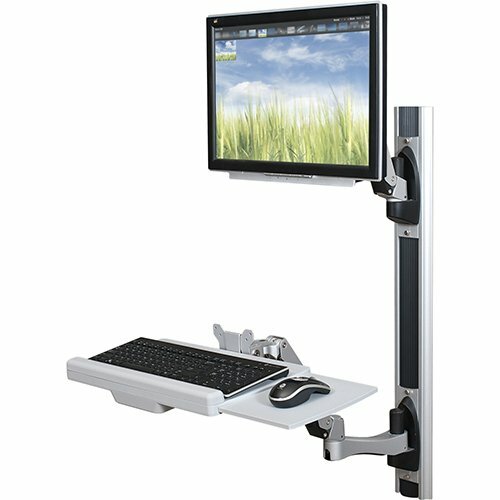 Use the Top of the Cart as a Teaching Station, its 36-1/2″ wide x 29-1/2″ deep Surface provides plenty of space for a Projector and Document Scanner and 1″ high ridge keeps items in place when the Cart is moved. 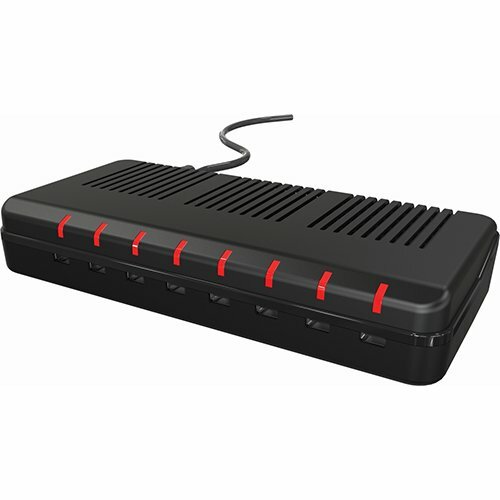 The Power Panel features 2 External Outlets. For Security, each Door has a Keyed Lock and two Point Locking Mechanism. The Large T-Handle provides a good grip and recesses back into the Door when not in use for a low profile. Four Large 5″ Casters are Two Directional Lock and Two Total Lock. Directional Lock Casters can be set to be either Swivel or Parallel. In Parallel Setting, the Cart steers like the best Grocery Cart. In Swivel Setting, all Four Casters Swivel for complete maneuverability.